A Wall Street Journal article yesterday brought attention to the significant strain within the $70B Puerto Rico bond market. Shares of some bonds in Puerto Rico were down 9% just last week. If that doesn't sound like a problem that affects US investors, you might want to think again. The WSJ reported that Oppenheimer and Franklin Templeton were just two of 50 different US-based mutual fund companies that own shares in Puerto Rico bonds, attracted to their relatively high yields. At one point, the bonds these funds owned were worth $14B, but their value had declined recently to just $8B (a loss of over 40%). There are no free lunches in the bond markets. Risk and return are related, and every so often, riskier bonds -- those with longer-term maturities and lower credit qualities (that have higher yields) -- remind you why they're risky. Using bonds to anchor a diversified stock portfolio, it is best to avoid these well-documented risks if your goal is to reduce overall volatility and improve short-term liquidity. 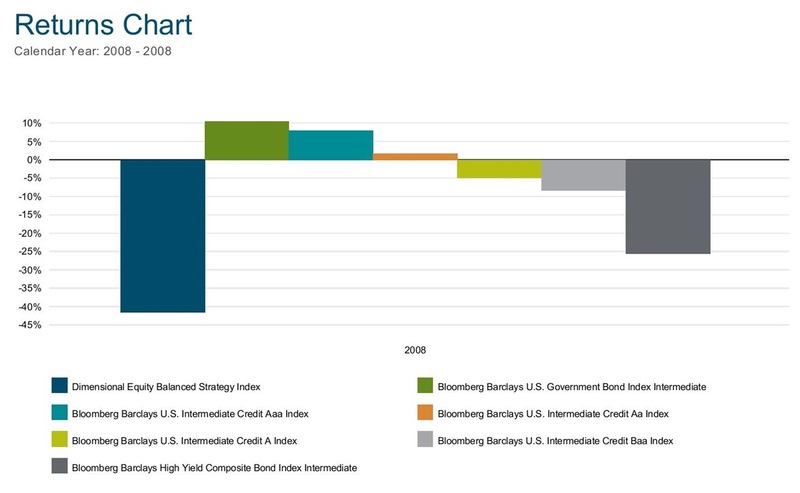 As we saw in 2008, when the economy turns south, and stocks go down, riskier bonds (A, Baa, and High Yield) tend to follow suit. That's why we believe a smarter investment approach begins with a broadly diversified stock portfolio and includes lower-risk bonds (Government, Aaa, and Aa) only to the extent that less risk and return is appropriate or there is a need for ongoing cash flow. If you are unsure whether your overall stock and bond allocation is appropriate for your long-term goals, or if you are taking unnecessary risks for your personal circumstances in bonds or any other part of your portfolio, we're happy to provide you a second opinion about your investment plan. Past performance is not a guarantee of future results. Indexes include the reinvestment of dividends but no additional costs associated with the management of real-world investment portfolios such as expense ratios and advisory fees. This content is provided for informational purposes only and should not be considered a recommendation or endorsement of any particular security, strategy, or service.